Mr. Tannenberg is a graduate of U.C. L.A. (B.A. Political Science) and the University of San Diego School of Law (J.D.) He has been in practice in San Diego, California since 1974. His practice is limited to matters concerning family law. Mr. Tannenberg has been certified by the State Bar of California, Board of Legal Specialization, as a specialist in family law since December, 1990. In 2005 Mr. Tannenberg completed a 40 hour training program in family law mediation and a portion of his practice is devoted to mediation/alternative dispute resolution. 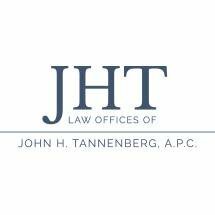 Mr. Tannenberg has been named to the Super Lawyers list in San Diego for 2009 through 2016. Mr. Tannenberg, a former senior associate and partner in the law firm of Hinchy, Witte, Wood, Anderson & Hodges, is a past Chair of the San Diego County Certified Family Law Specialists Committee and was a member of its Executive Committee for three years, Mr. Tannenberg is a past Chair of the Family Law Section of the San Diego County Bar Association, He has been a Judge Pro Tem of the Superior Court in San Diego County since December, 1993, Mr. Tannenberg is a member of the State Bar of California, the San Diego County Bar Association, and the Association of Certified Family Law Specialists. He is admitted to practice before all courts in the State of California, the United States Supreme Court, the Ninth Circuit Court of Appeals, and the U.S. District Court for the Southern and Central Districts of California. Mr. Tannenberg has lectured for Continuing Education of the Bar Seminars, been interviewed on KCEQ AM 1000 regarding Family Law and Domestic Relations matters, taught Family Law as a guest speaker for Professor Michael Kelly at U.S. D. School of Law, and participated as a guest speaker in Family law for the Second Saturday Program hosted by Ginita Wall, a San Diego CPA and Financial Planner.